Over the past decade-and-a-half America has been embroiled in conflicts in the Middle East. As a result, most modern American military films have been about the heroics of American service members fighting terrorists in places like Afghanistan and Iraq (Act of Valor, Lone Survivor, and American Sniper just to name a few). Modern Chinese films however, have rarely touched on the Middle East, preferring to focus on combating the drug trade in Southeast Asia, or defending the sanctity of China’s own borders. More recently though, we’ve started to see Chinese military films take the People’s Liberation Army to far-flung places in Africa and Central Asia (Wolf Warrior 2, Sky Hunter). In contrast to the terrorist-hunting special forces of the American military, the People’s Liberation Army (and its Navy and Air Force) are depicted as defenders of Chinese expatriates in conflict zones – a perspective more aligned to the Chinese government’s view of the PLA as protectors of China rather than as world police (a title more often assigned to the US). 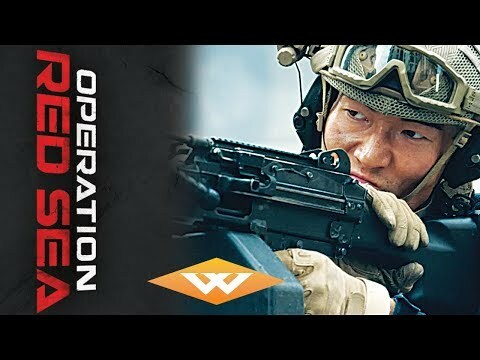 China latest modern war movie Operation Red Sea finally takes us to the Middle East and, in a refreshing twist, this film is actually based on the real-world evacuation of Chinese citizens from Yemen during its civil war in 2015. 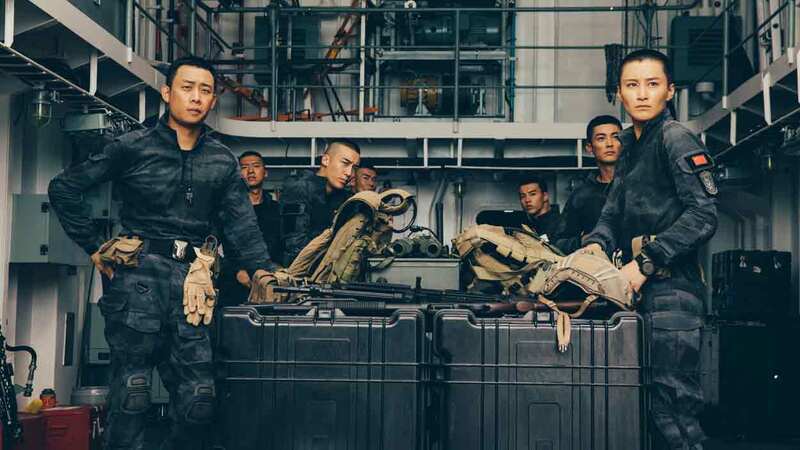 Although Operation Red Sea purports to be the “first modern Chinese naval film”, the film itself is less focused on naval combat as it is on land-based operations executed by a group of elite Marines (the “Jiaolong” squad). Nevertheless, it has all the makings of a good action movie – realistic military tactics and weapons, plenty of bombs and explosions, and even a tank battle to top things off. 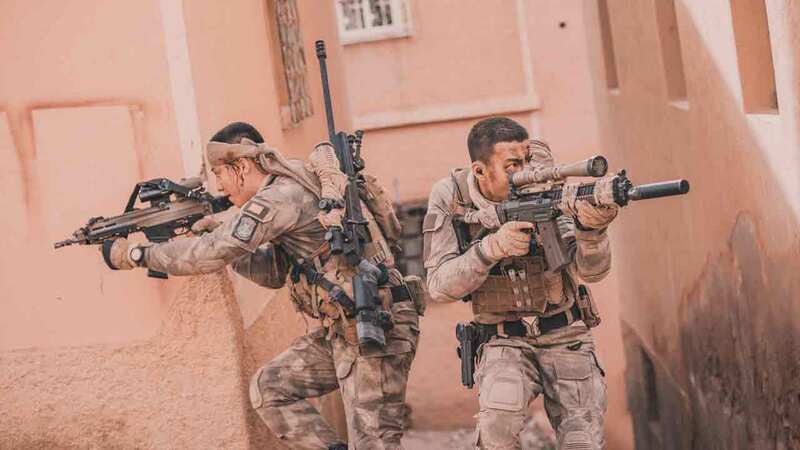 In contrast to Wolf Warrior 2 and Sky Hunter, Operation Red Sea is not focused on any individual warfighter – rather, each member of the elite Jiaolong squad is given more or less equal exposure, whether it’s the team captain, their elite marksman, or the junior members of the team. The true magic is how the film is able to capture the personal struggles and developments of each teammember: the captain’s struggle with losing members of his team, the marksman’s spotter’s growth as a rifleman in his own right, or a soldier overcoming his personal moral struggle seeing so many civilians harmed by conflict. In many ways this reminds me of many American special forces movies – Act of Valor, Lone Survivor, or even Black Hawk Down. No doubt the screenwriters were inspired by these American blockbusters. Operation Red Sea also doesn’t shy away from the gruesome realities of war – in fact the opening sequence of the film highlights how easily soldiers can be injured as one of the Marines is paralyzed by a bullet severing his spinal cord. War is hell, and director Dante Lam chose to depict that as close to real-life as possible. But has Lam taken the blood and guts too far? Throughout the film we’re shown hyper-realistic casualties, ranging from severed limbs in the aftermath of a car bomb, to burnt bodies when a civilian-carrying convoy is hit by mortars. There’s even a video of a civilian hostage being beheaded by Islamic insurgents – a scene usually glossed over by American films by an officer saying “turn that off.” While all this is an accurate depiction of what might be a part of daily life in conflict-ridden parts of the Middle East, we can’t help but wonder if a regular civilian living in a developed country would find this over-the-top. Our final cinematic gripe with Operation Red Sea is its excessive use of slow-motion – both of bullets flying through the air to hit a faraway target, and of the Marine squad running into battle. While limited use of slow-motion visual effects helps dramatize certain moments in a movie, I found the repeated usage cheapened the actual points in the film that could have used some more dramatization. Operation Red Sea has all the trappings of a good, modern action movie – and it’s actually very well-shot. Close your eyes during the gory bits if body parts and blood bother you, and ignore the excessive slow-mo visual effects: you’re in for a two-hour treat. Operation Red Sea opens today in theaters across North America. Check out Well Go USA’s website for screening locations. Operation Red Sea (Chinese: 红海行动)–Directed by Dante Lam. First released February 2018. Running time 141 minutes. Starring Zhang Yi, Huang Jingyu, Hai Qing, and Di Jiang.